It's Spring and I think that's why I'm currently obsessed with a tangle called "Lanie"... We're also experiencing a heatwave in Singapore... Up to about 37 degrees Celsius (that's 99 degrees Fahrenheit). It's insane. We took part in a Mother's Day event at Bukit Batok RC Zone 3. Mr Desmond Lee was the guest-of-honour for the event. 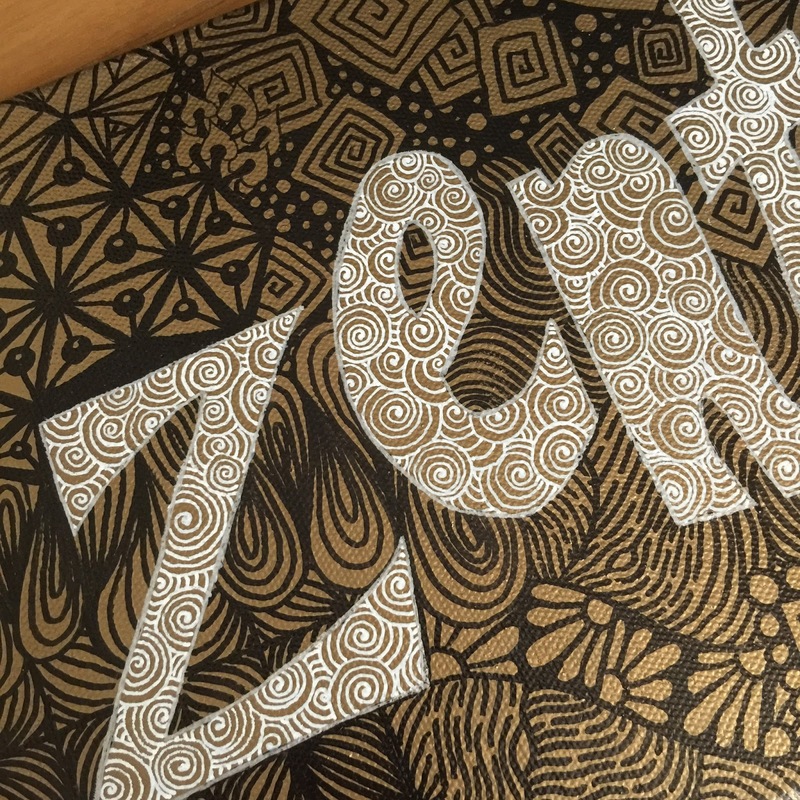 Joni and I taught a few Zentangle workshops during the event and with our help, the residents created beautiful Mother's Day cards using some tangles. 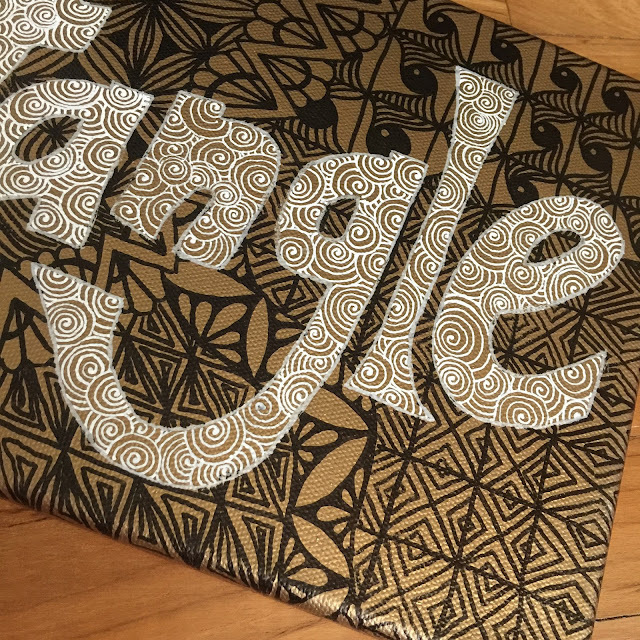 I first sprayed the entire canvas in gold. Then drew out the word "Zentangle" in pencil. 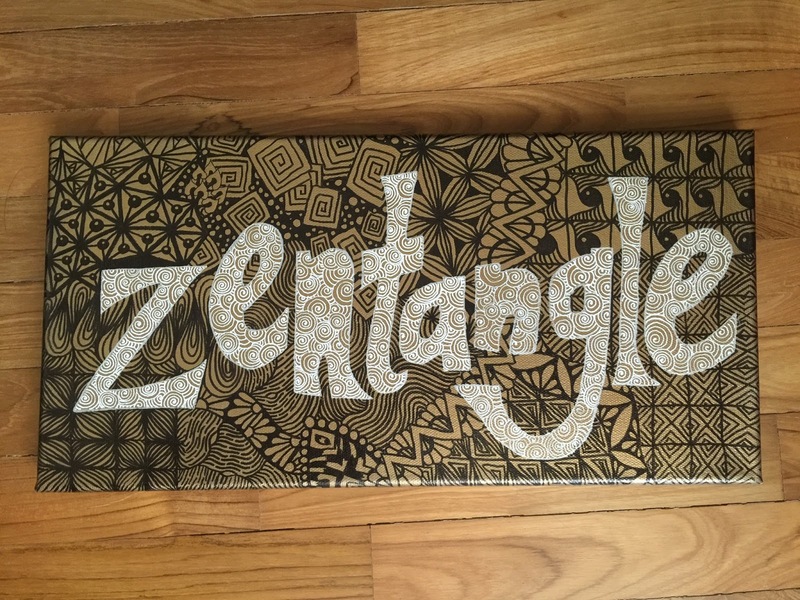 Then I drew the tangles with a black Identi pen. And finally, I added white Printemps to the "Zentangle" with a white Uni-ball Signo pen and added a silver outline to the words to make it pop even more. 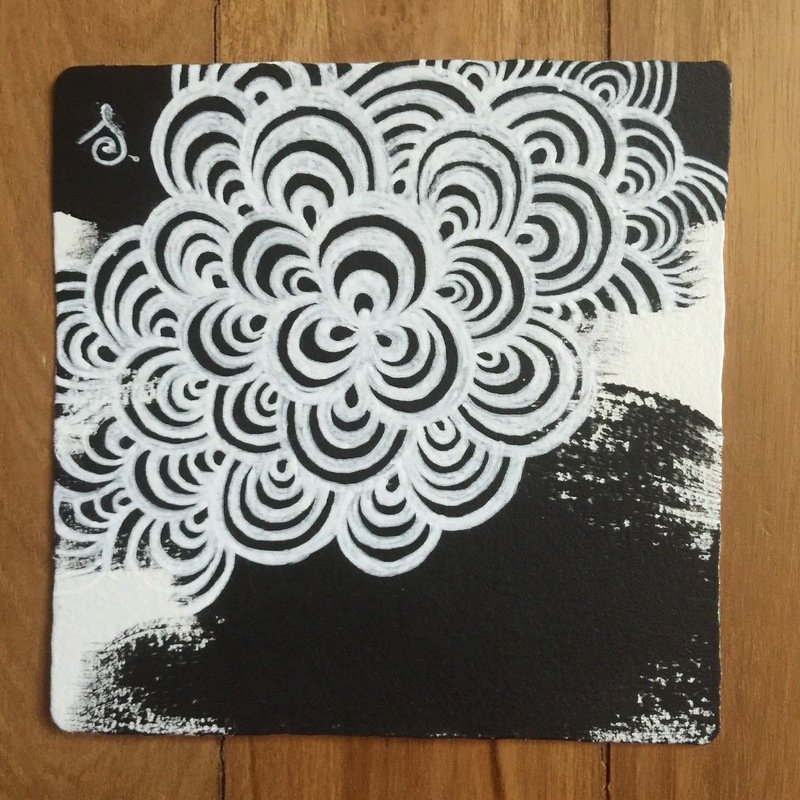 Black acrylic paint and sweeping brushstrokes; paired with Bunzo. I never quite liked Bunzo when I first learnt to draw it, but I think I've grown to like it now. 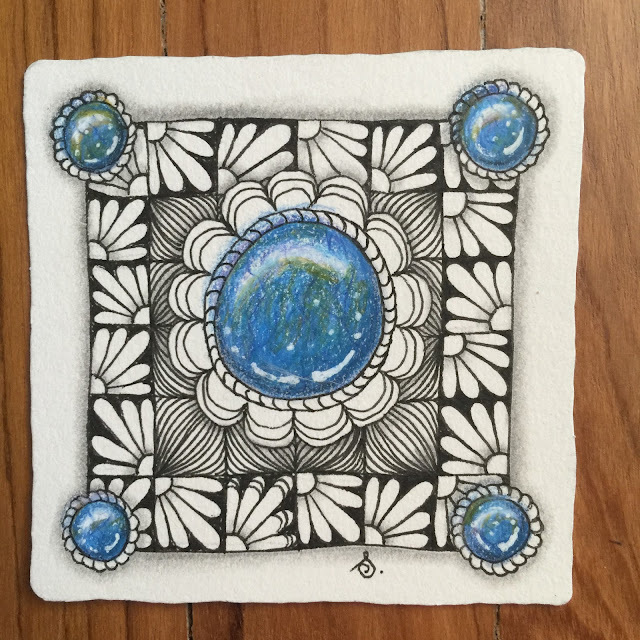 This tile is now on its way to New York as a gift to my godmother. This one was done with Glenys Sykes. I did very little on this tile: only the basic shape of the Arukas plus the border of Luv-a. Everything else was added by Glenys. I love the Art Nouveau-inspired colours! I was blown away by how beautiful the tile turned out when it started out so simply. 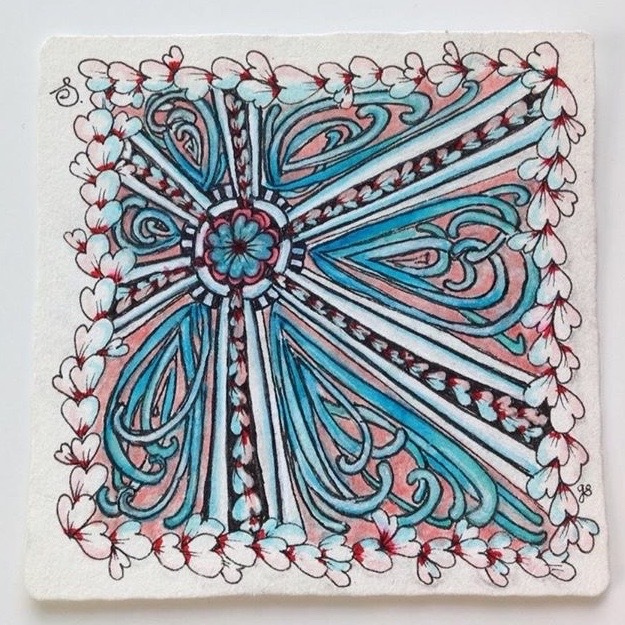 And here's a tile I did with Lynn Noga. 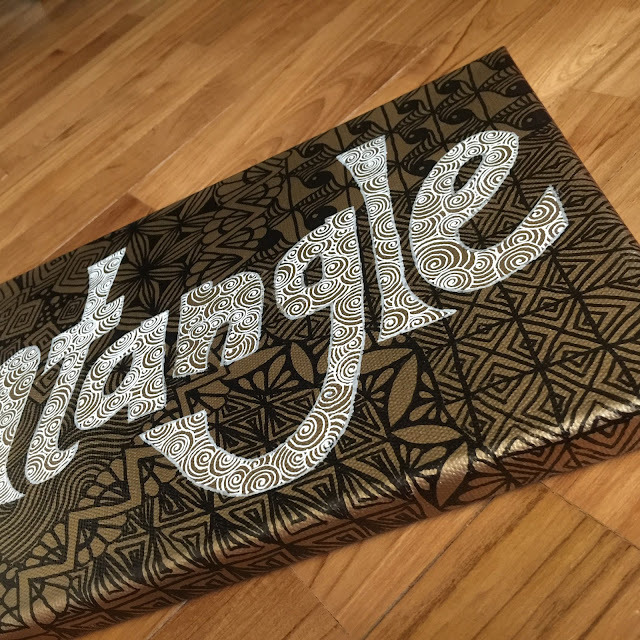 She did the jewels; I added the tangles. This tile was done for the March Monthly Swap but I didn't finish it until now because I didn't know how to make the five jewels link up with one another. It wasn't until last week that I thought to add a border so that it'd look like a little frame around the large jewel. Sometimes, you just have to give yourself a little time to figure things out.